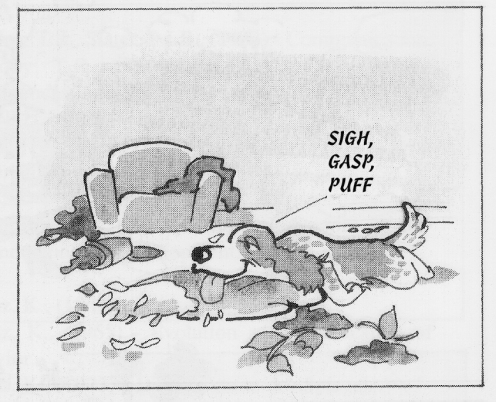 In 1994, I created Bongo to illustrate the various situations dog owners and dogs get into and how to get out of them the best possible way. My objective was to explain and illustrate that many dog problems (maybe most) were the result of misunderstandings between us and them. If we spoke a better “Doguese,” we could certainly avoid the worst troubles. I paired up with Henriette Westh, a brilliant Danish illustrator, and she gave Bongo more than a form; she gave him a character of his own. “Bongo Home Alone” was first published in 1994 in my book “Hunden, ulven ved din side” (Borgen Publishers). Coincidentally, the editor of the book was none other than Henriette’s brother, Poul Henrik Westh. The book never appeared in English, but Bongo did. Click “more options” and the full-screen view icon for better reading. Zoom in and out as you like. On a Mac, use the native Safari browser. On a PC, use Edge or Firefox. For troubleshooting full screen see FAQ. Learn more in our course Dogs Home Alone. This online course deals with the canine problem no. 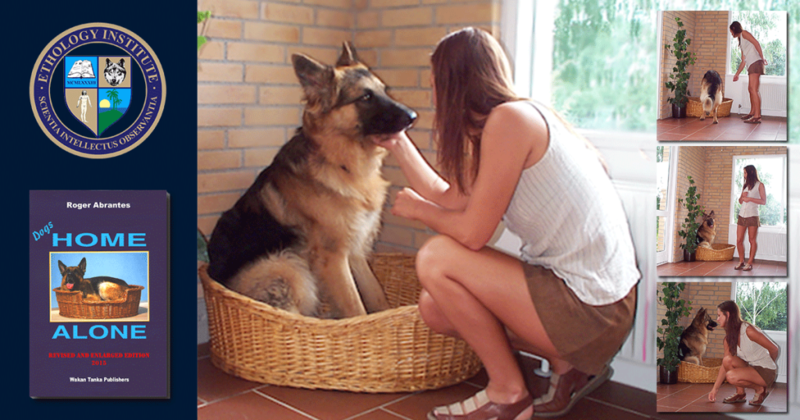 1—the dog cannot be left home alone without showing clear signs of distress behavior. This course is a DIY program for dog owners to cure or prevent serious problems. If you are a dog trainer, teach your clients this proven, straightforward and efficient method.